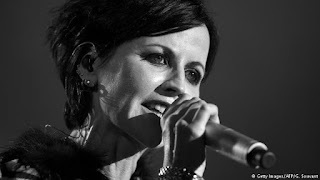 01.16.2018 – If you’re fan of the Irish rock band the Cranberries, its Matriarch and lead singer Dolores O’Riordan has passed away suddenly at the age of 46 in London during her recording session. The cause of her death has not been revealed, but this is a shock to fans who have heard the Cranberries since the early 1990s. Dolores was the heart and soul of what the made the band popular all over the world. O’Riordan the lead vocalist and went solo in his career producing her album during The Cranberries break starting in 2003 and reuniting again in 2009. The Cranberries has been busy in 2017 even though Dolores was reported to recover from her “back problems” last year they manage to continue their world tour. Though she’s not the original lead vocalist for the band Dolores became the core that made the band popular. The Cranberries rose to international fame in the 1990s with their debut album, Everybody Else Is Doing It, So Why Can't We?, which became a commercial success. The Cranberries have sold over 40 million records worldwide. The band has achieved four top 20 albums on the Billboard 200 chart (Everybody Else Is Doing It, So Why Can't We? ; No Need to Argue, To the Faithful Departed and Bury the Hatchet) and eight top 20 singles on the Modern Rock Tracks chart ("Linger", "Dreams", "Zombie", "Ode to My Family", "Ridiculous Thoughts", "Salvation", "Free to Decide", and "Promises"). During the six year hiatus of the band Dolores produced her solo albums “No Baggage.” She is survived with three children with former husband Don Burton whom she married for twenty years. So far there’s no word on the cause of her passing. Official announcements have been posted through their social media pages on Facebook and Twitter.